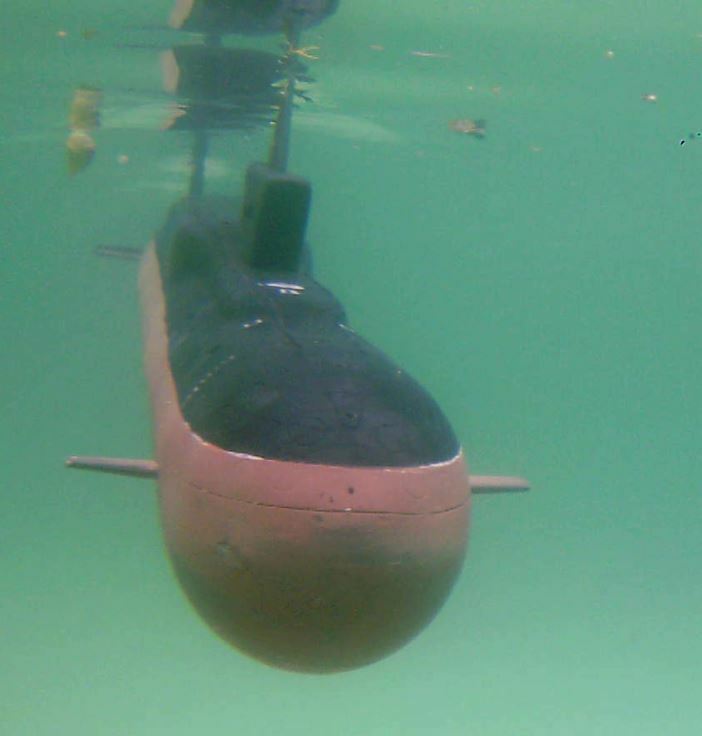 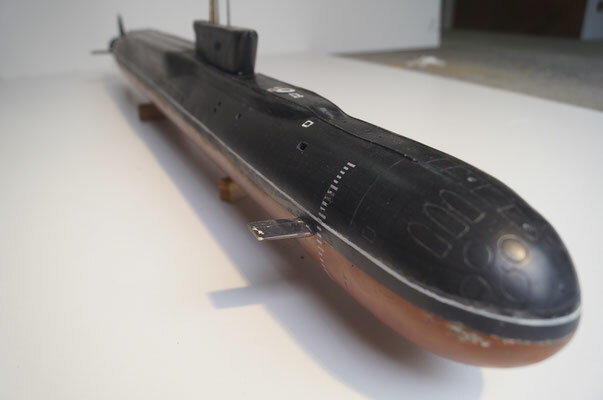 Project 955 Borei Class SSBN. 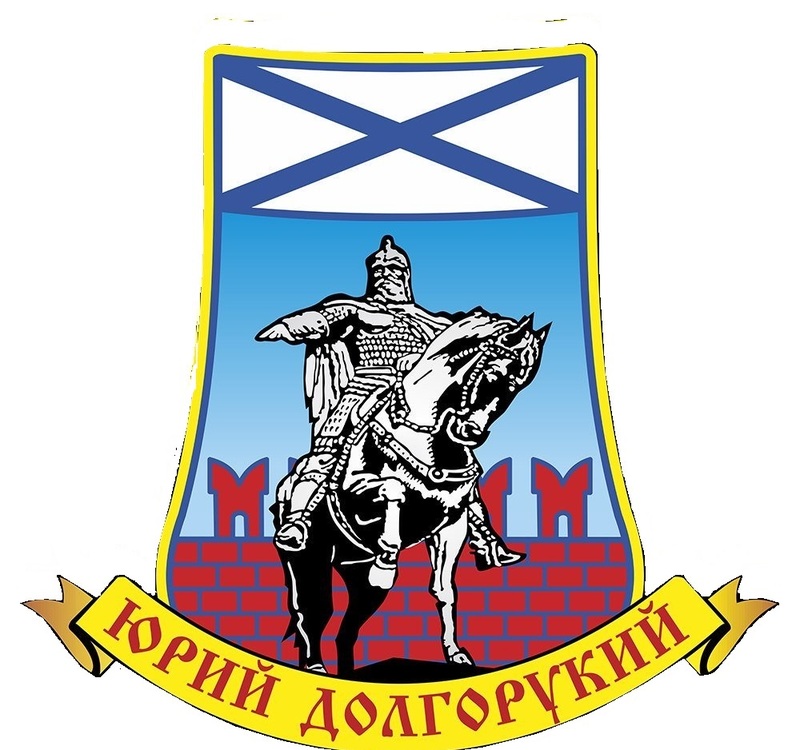 Yuri Dolgoruki. 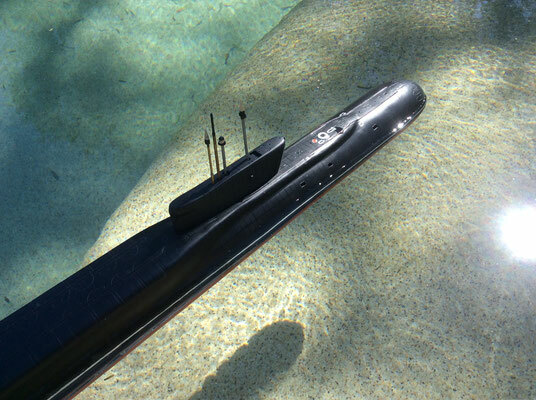 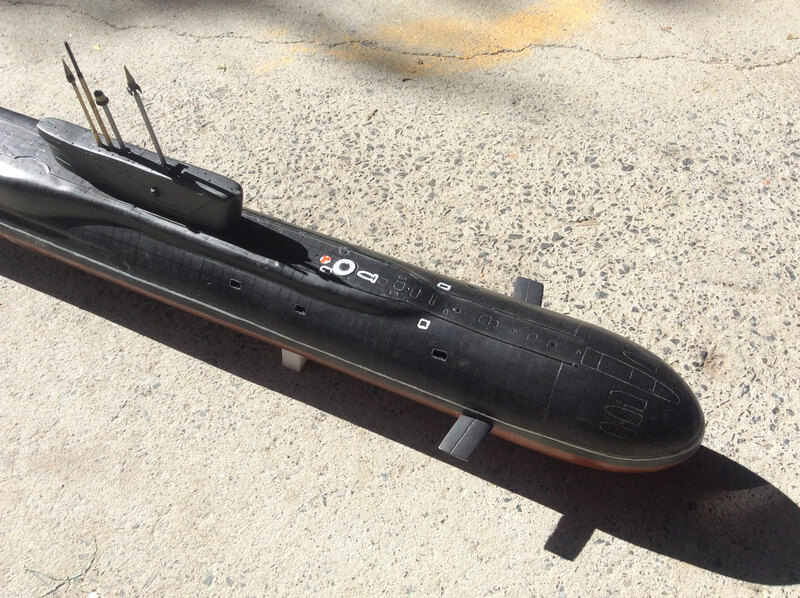 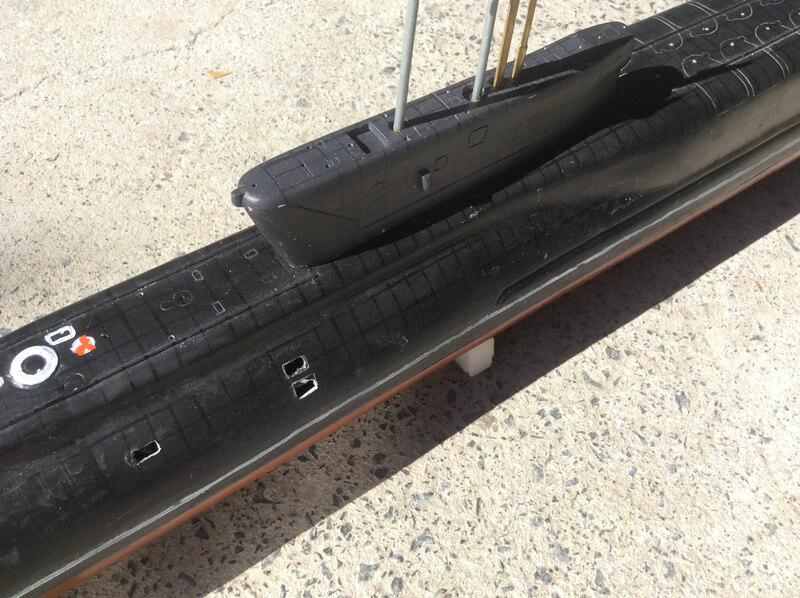 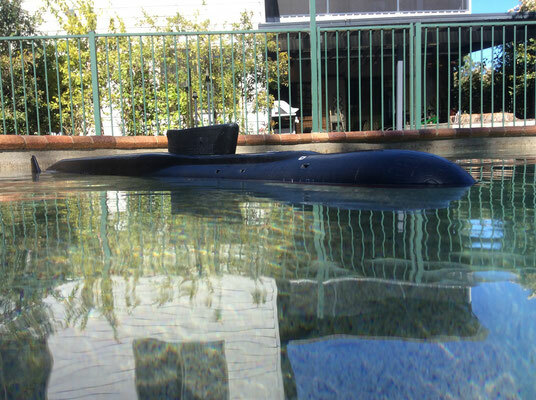 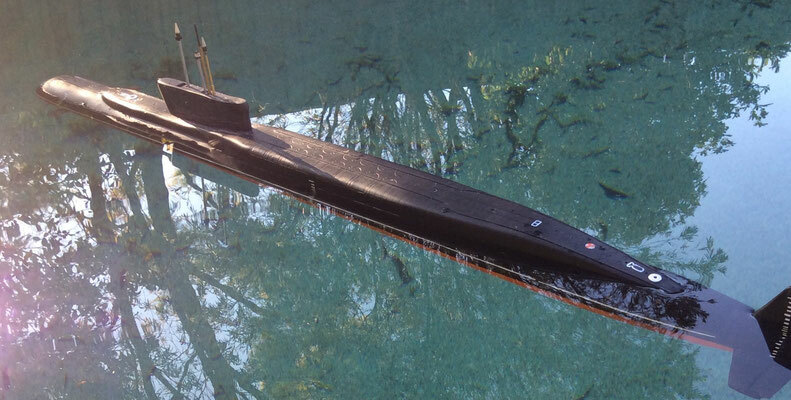 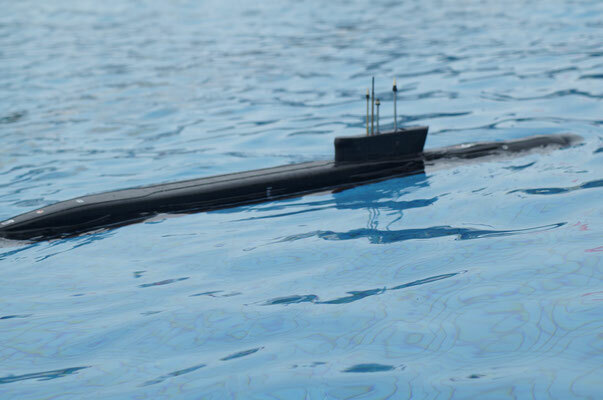 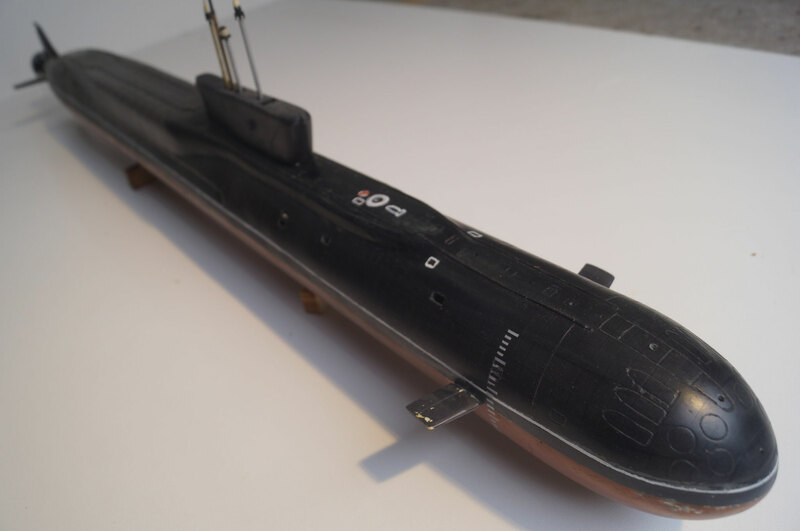 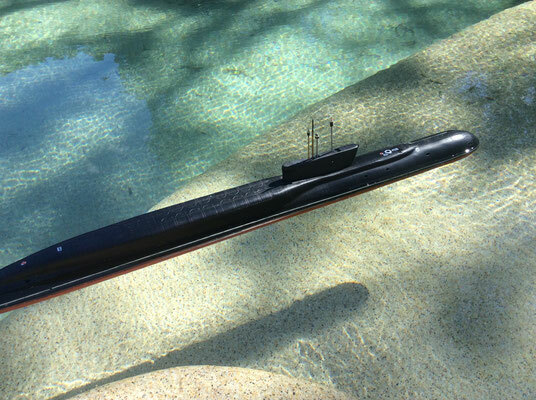 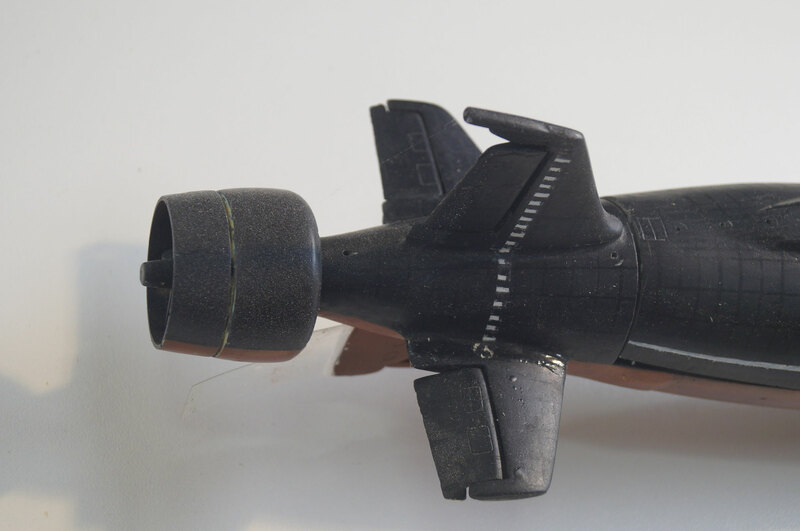 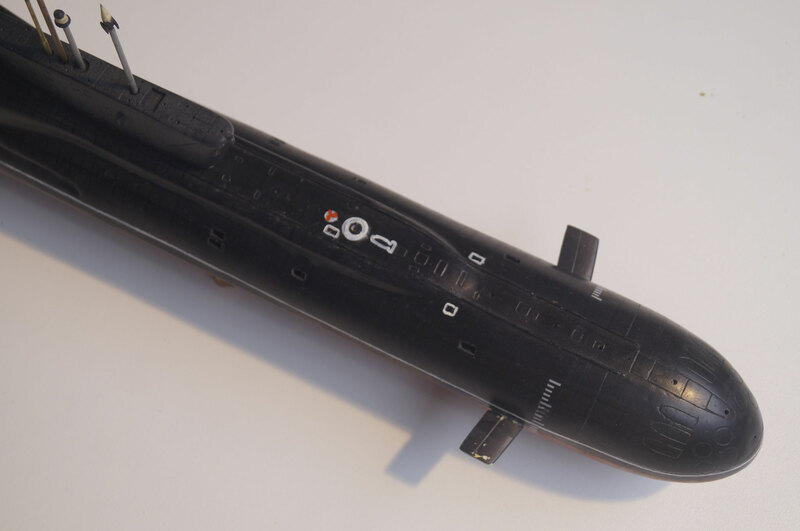 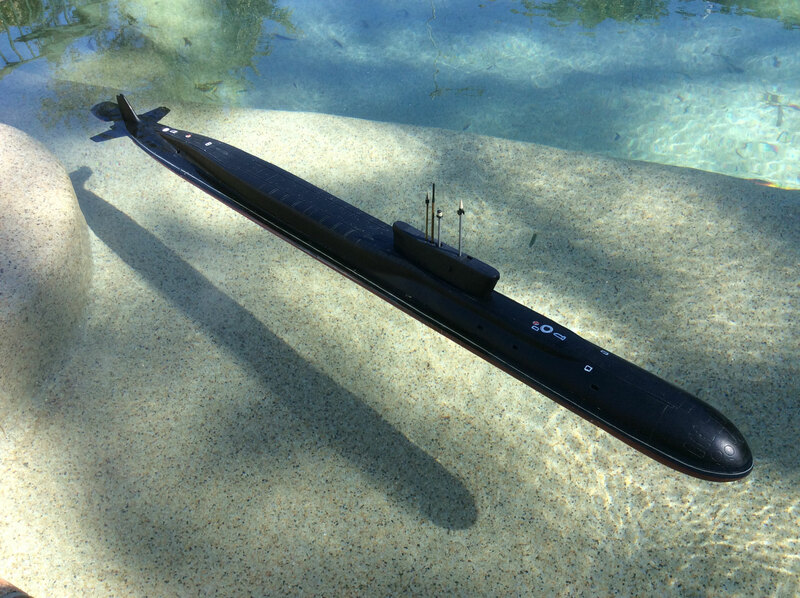 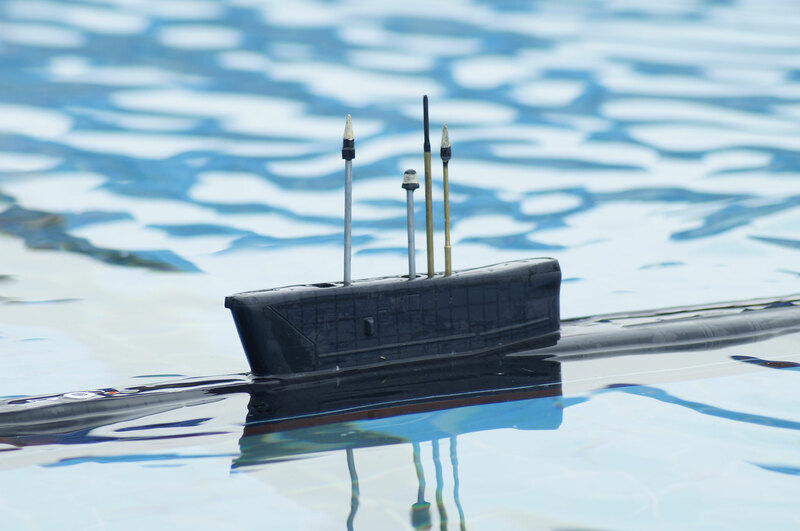 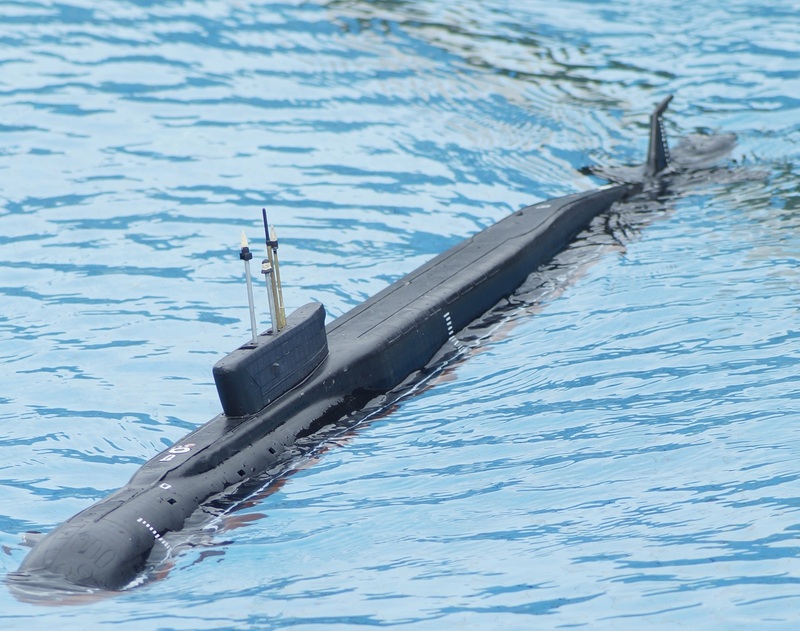 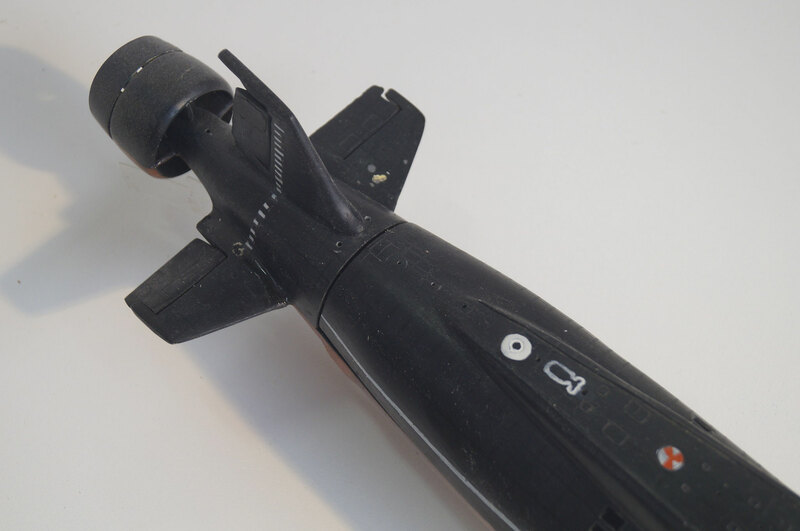 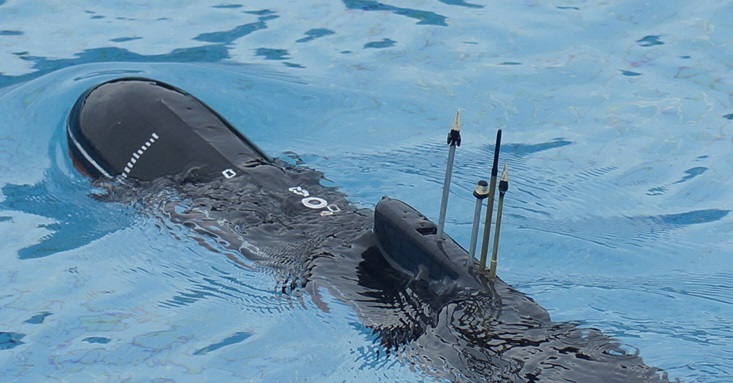 After a year of development Zero Bubble model design is proud to offer a 1/140th Scale GRP kit of the Russian Federation Navy Project 955 'Borei' Class SSBN "Yuri Dolgoruki"
This kit features two fibreglass hull halves, top and bottom along with two fin pieces and a top sail /fin piece. 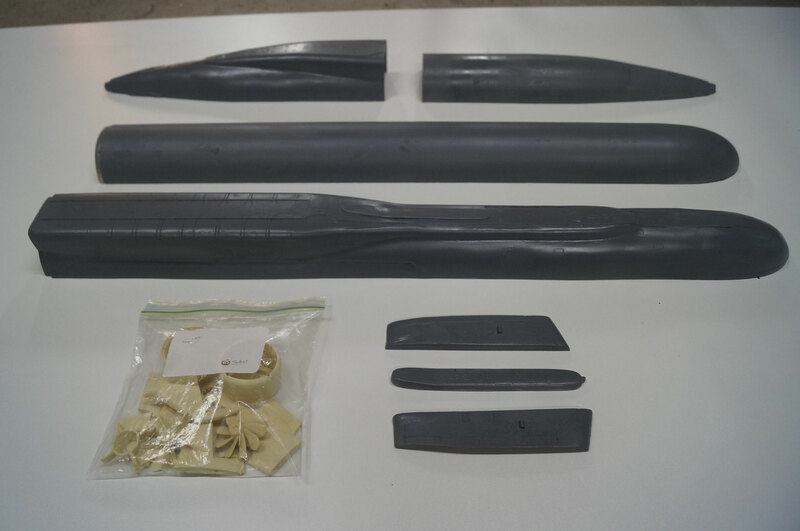 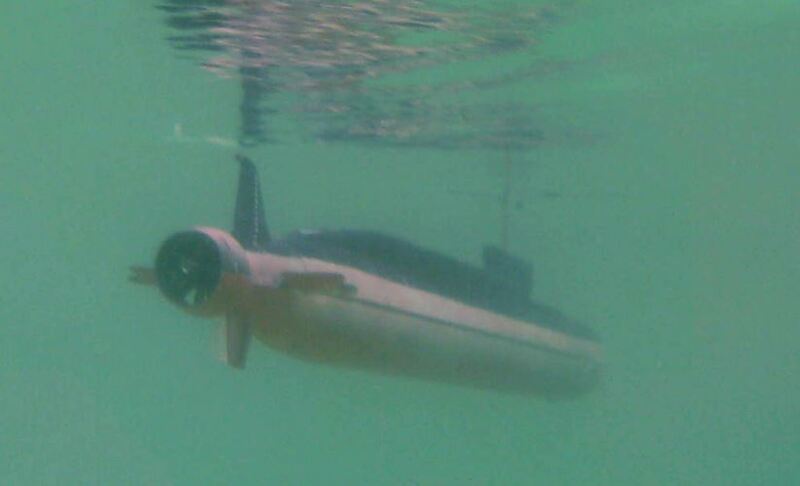 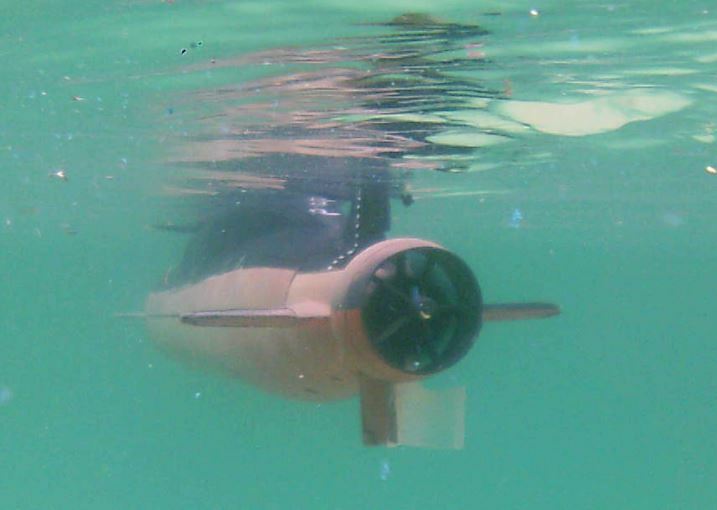 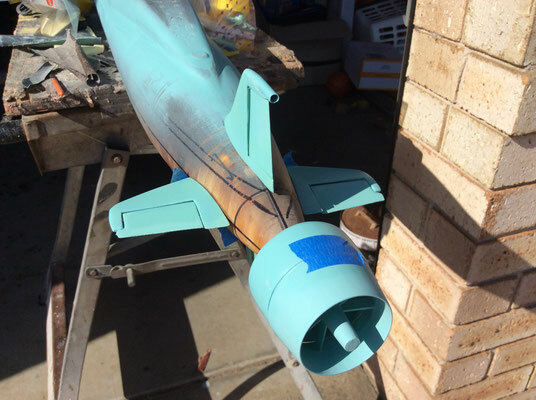 All appendages are supplied including a 5 piece pumpjet propulsor assembly along with Hydroplanes fore and aft and mast heads. 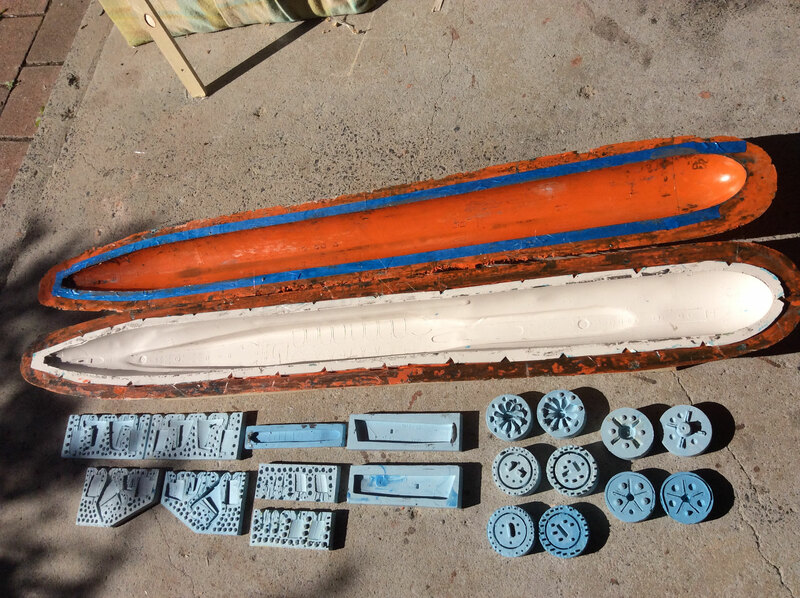 These are all polyurethane castings. Like all Zero bubble kits it is primarily designed for Radio control. 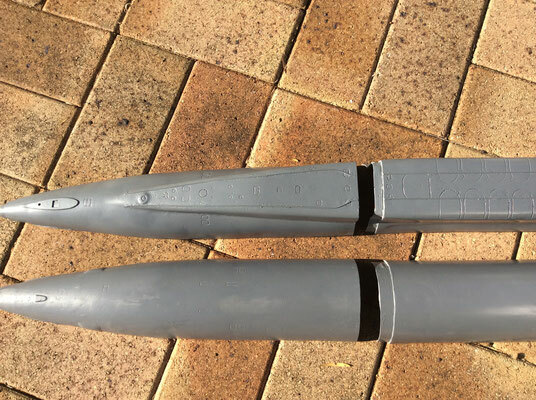 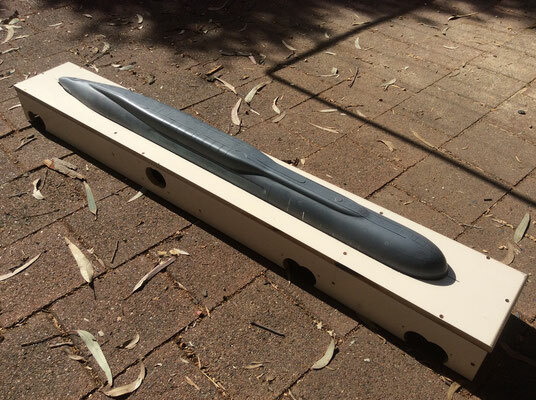 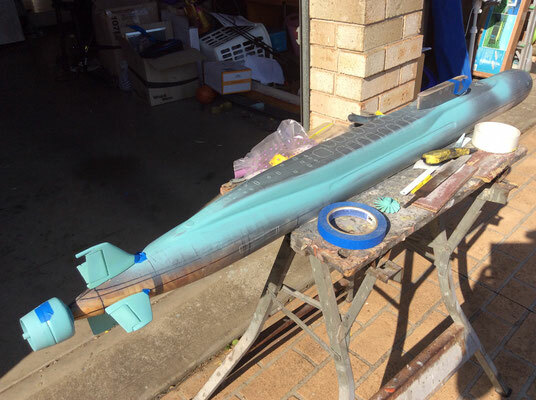 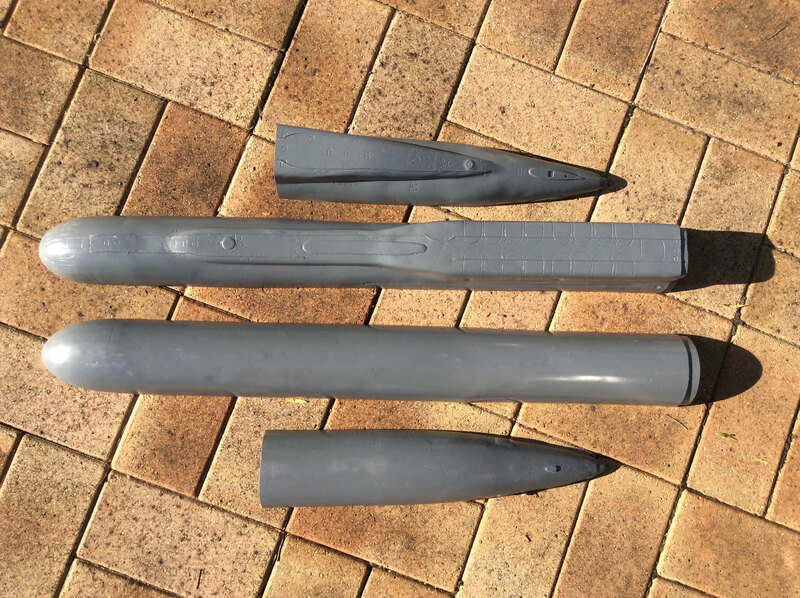 The kit is 1300 mm long and had a diameter of 95mm. 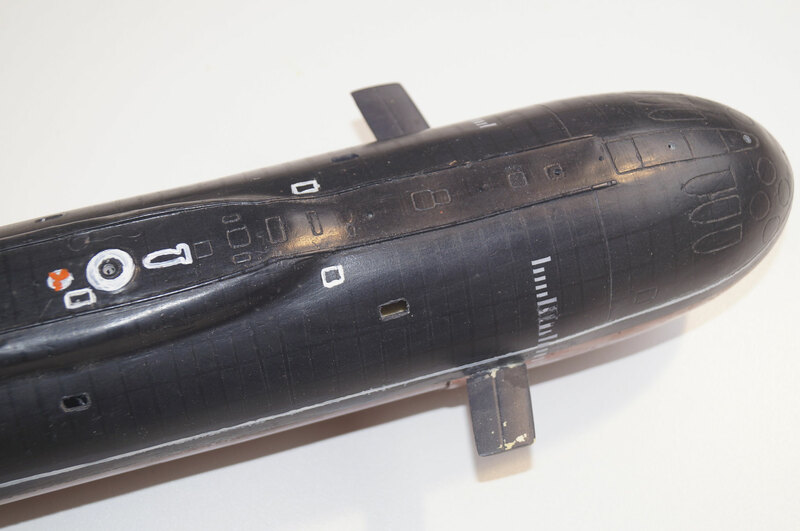 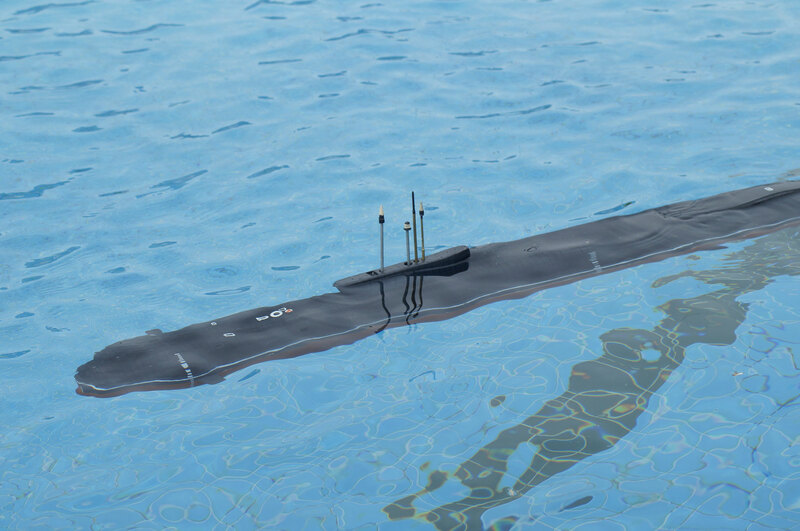 The Project 955 Borei class SSBN has been a long anticipated design, intended to replace the ageing Project 667 BDRM Delta III and IV as well as the massive project 941 Bars/Akula Typhoon class SSBN. 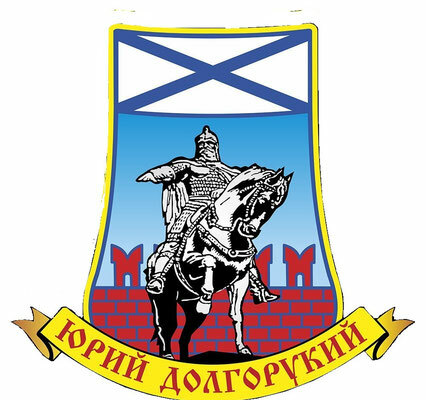 The development of this design being protracted, a direct consequence of the fall of the Soviet Union and the emergence of the Russian Federation. 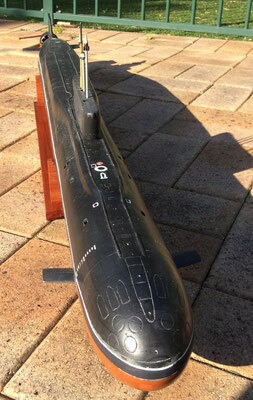 Design development started in the 1980’s under the direction of the RUBIN Design bureau. 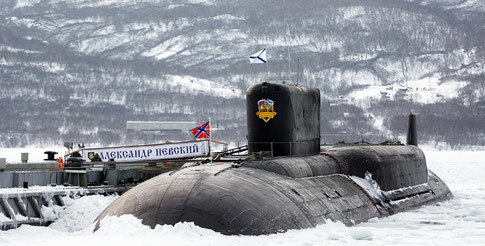 The collapse of the Soviet Union initially meant that construction would be delayed and not even certain. 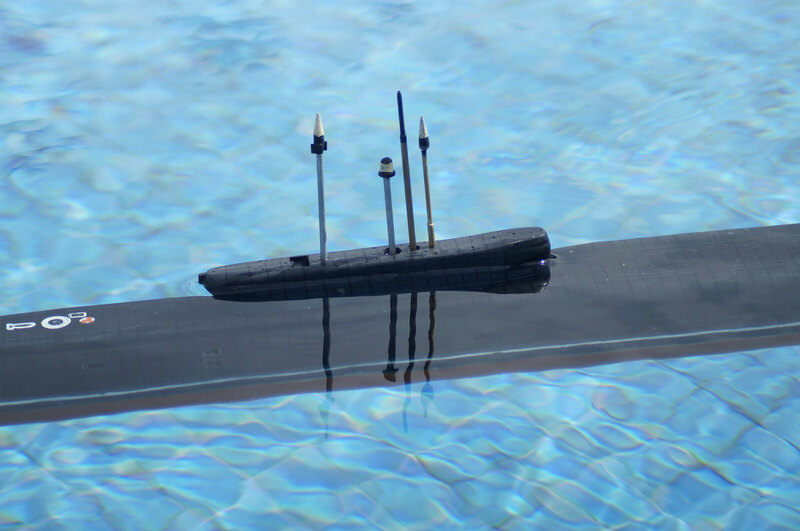 undergoing intensive development also meant that the ship was not armed with her complement of missile until later. She was finally commissioned into the Russian Navy in 2010. 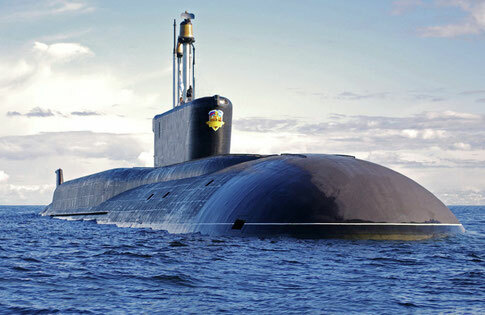 She is the first of 10 projected Ballistic missile submarines to be operated by the Russian Federation. 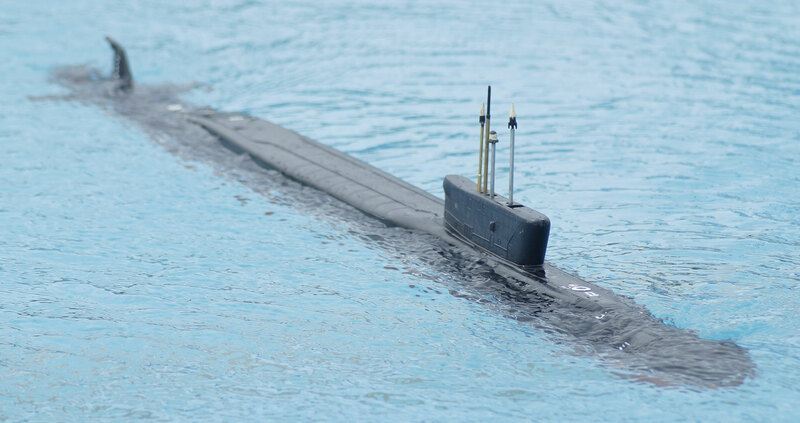 Since the commissioning of the first Borei class submarine three others have joined the fleet, Alexander Nevsky, Vladimir Monomakh and Kynaz Vladimir. The main kit components are made of Polyester resin fibre glass. 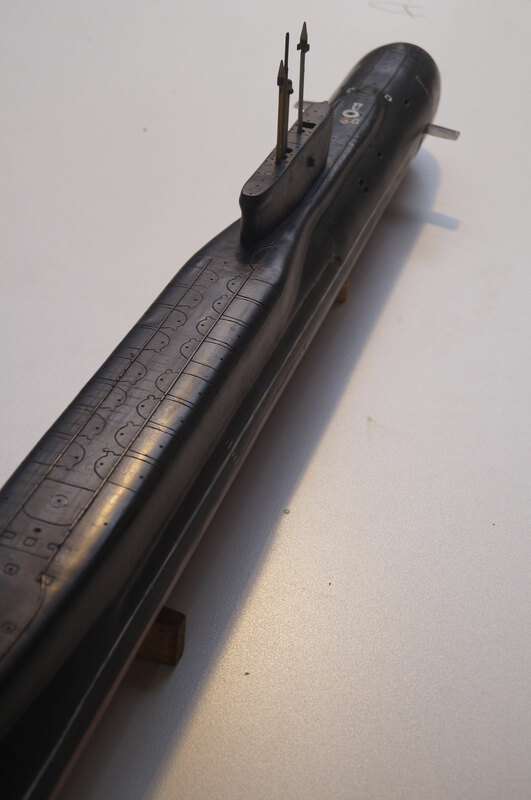 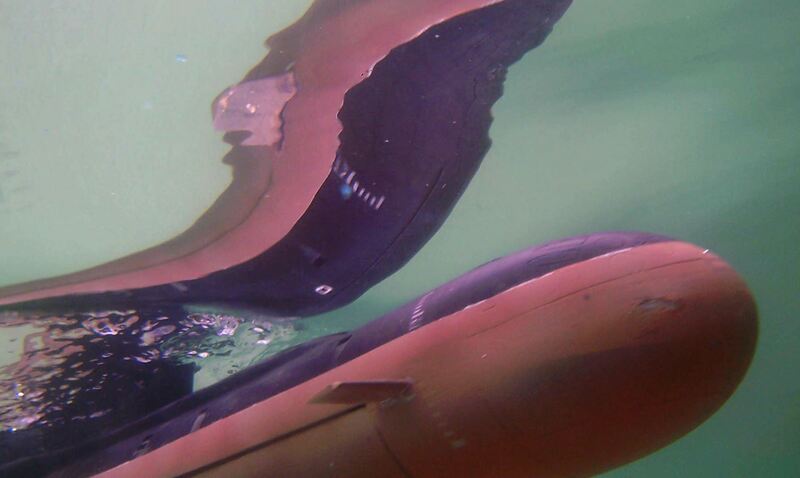 These parts include the top and bottom hull and also the two side and top pieces of the fin/ sail. 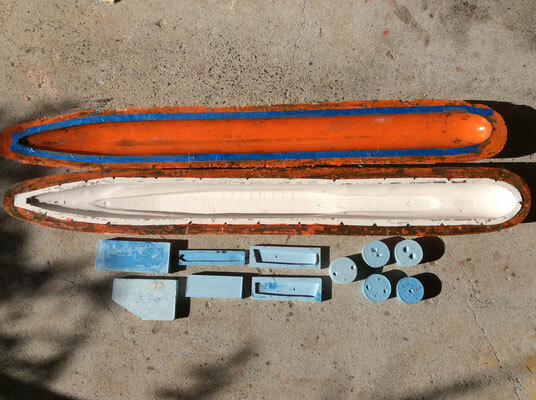 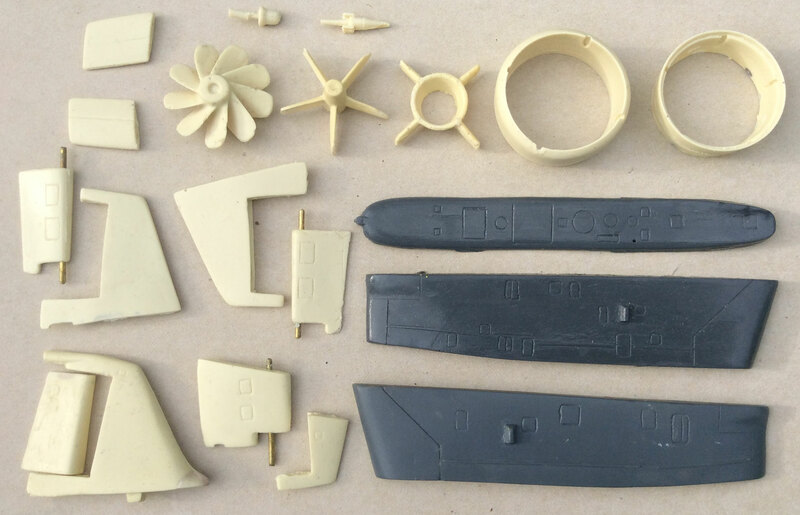 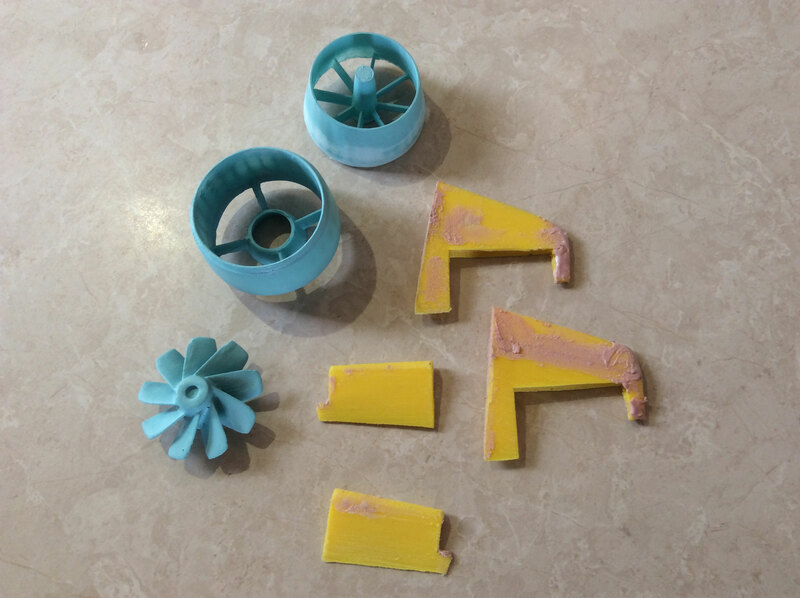 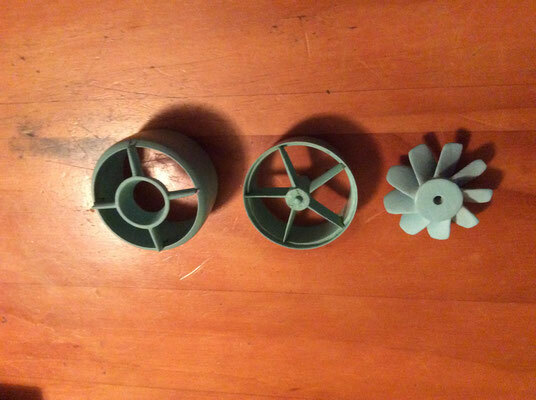 The rest of the components are made of hard wearing Polyurethane resin cast parts. water tight cylinder or electronics. 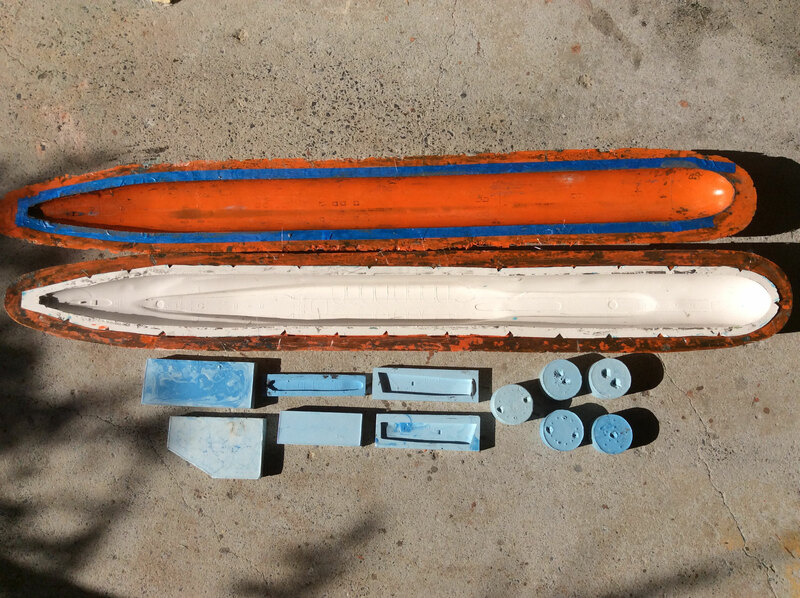 Paints, glues or stand. 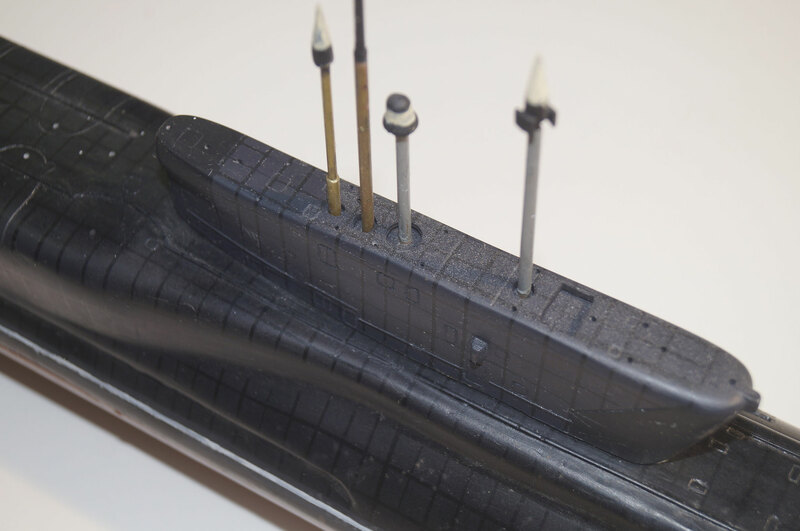 As shown above, I ship this kit with the two hull halves cut in two sections. 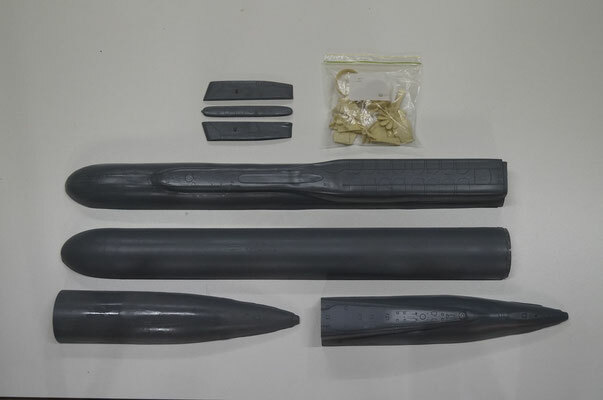 This is to make shipping less expensive for you as this kit exceeds Australia Post's shipping length. 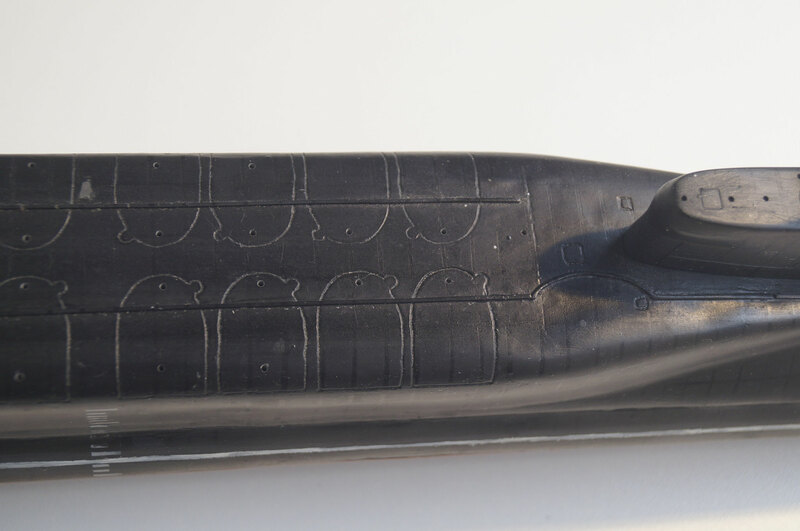 Each Hull half is simply rejoined with the inner lip moulding.